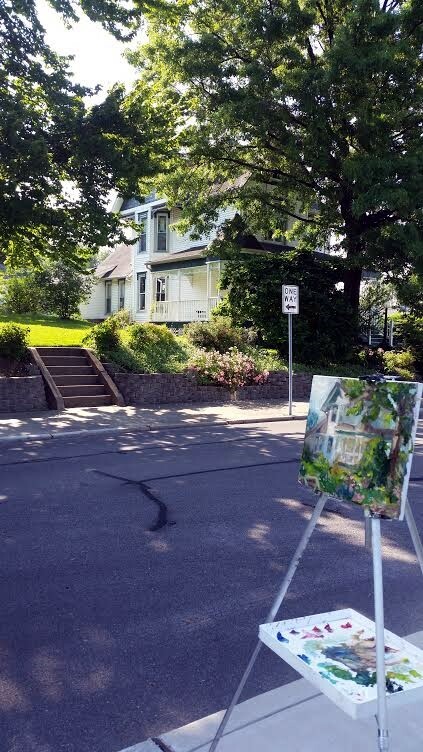 I went out painting this past Sunday morning in town. Sundays are usually pretty quiet if you’re painting an urban setting. There is a row of old houses on Main Street which have been renovated and provide some pretty interesting subject matter. The first house, with all the gingerbread and roses is almost too saccharine but I thought I’d give it a stab. 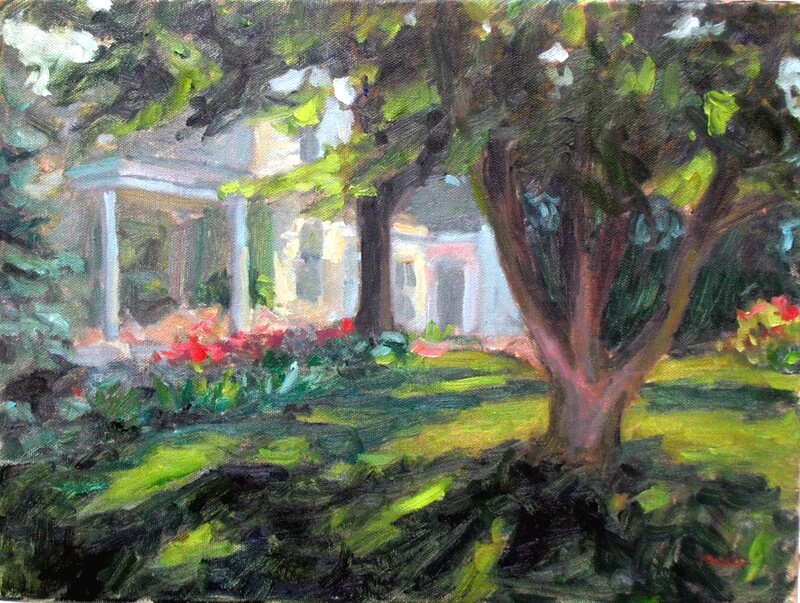 I was actually planning to paint it from the other side (south) but since I arrived pretty early, I caught this morning light on the north side. There are some who would like to see every little detail but I believe that you should let the viewer’s eye fill in some of the details. If I tried to paint a photo-realist painting…what IS the point, eh? …then I think the painting would have lost a lot. A friend went with me this morning but she had other obligations and had to leave. I wasn’t ready to pack up so I turned around and then painted the neighboring house. I really like the light in both of them. 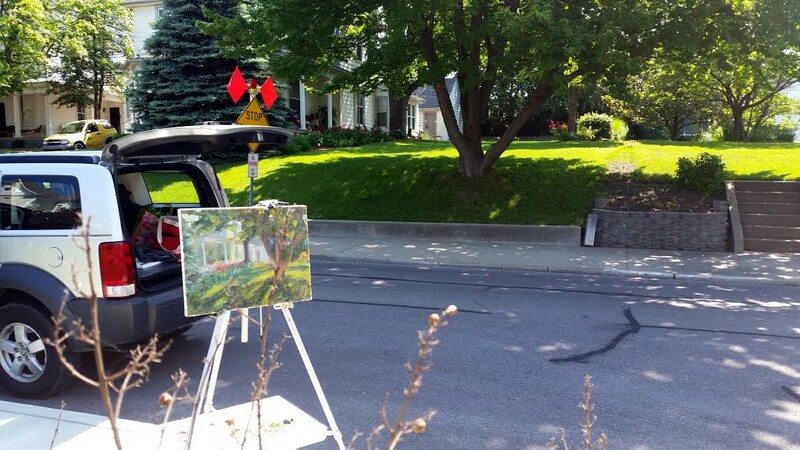 I could probably find subject matter for several paintings in a few blocks of Main Street, especially if I come back at different times of day. What does YOUR Main Street look like? 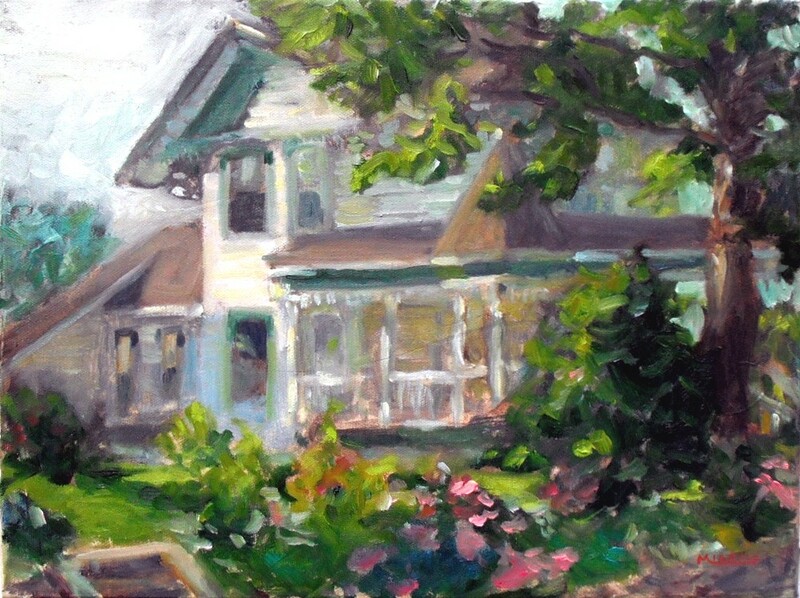 This entry was posted in art, oil painting, painting instruction, plein air, plein air painting and tagged art, kit miracle, oil painting, old house, painting instruction, plein air. Bookmark the permalink.